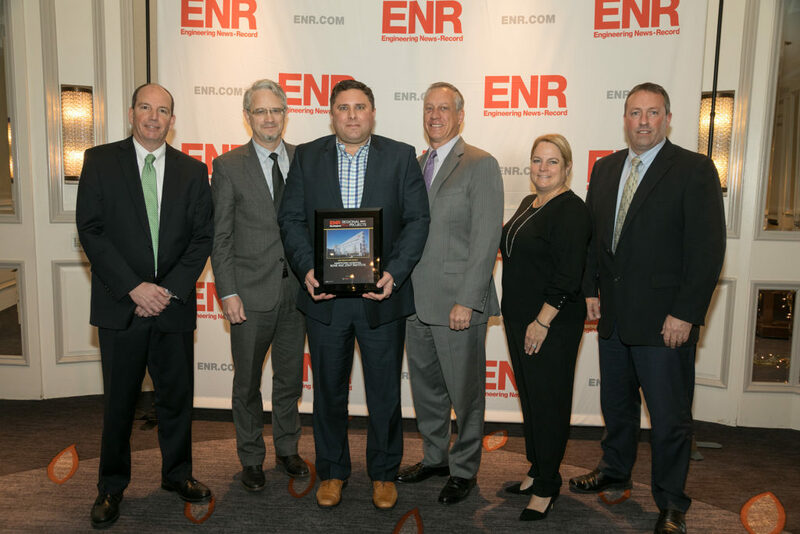 Congratulations to Hartford Hospital Bone and Joint Institute for being awarded the 2017 ENR New England | Regional Best Projects in the Health Care category! The Bone & Joint Institute is a comprehensive orthopedic care facility located on the campus of Hartford Hospital in Hartford, Connecticut. On December 12, 2018, team members for the project from Gilbane Building Company (construction manager), Concord Healthcare (project manager), Perkins+Will (architect), and BR+A (MEP engineers) accepted the award on behalf of the owner and project team. Selection for the award is based on criteria related to the project team’s ability to overcome challenges, contribution to the industry and community, safety and construction/design quality.